If you’re looking for the latest and greatest way to travel the U.S. with ease, Roadtrek has the camper van for you. 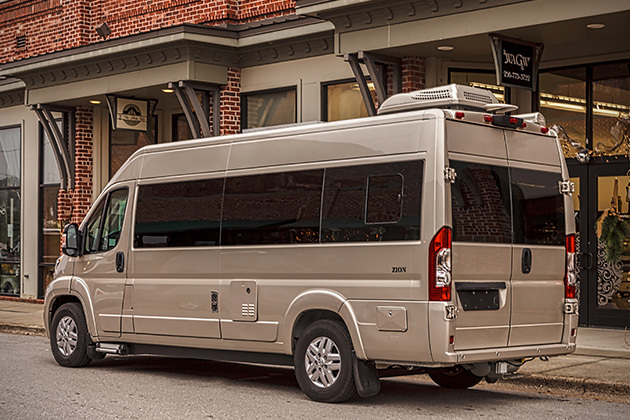 The all new Roadtrek Zion is a stylish Class B built on a Ram Promaster engine. The van seats up to five for travel, and can sleep three adults inside. 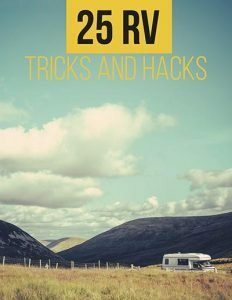 The Zion isn’t Roadtrek’s largest camper van, but it packs enough features to make it super user friendly. 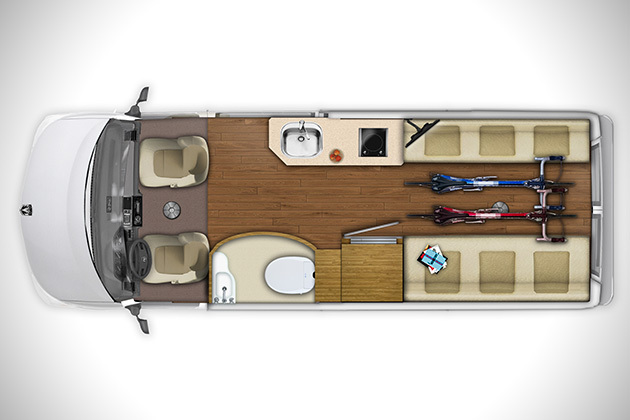 The extra wide center aisle provides plenty of space to haul adventure toys such as kayaks and mountain bikes so you don’t have to leave anything behind. The Zion is a fully contained camper. It has a mini kitchen with fridge, a stove, microwave and all in one shower plus bathroom. 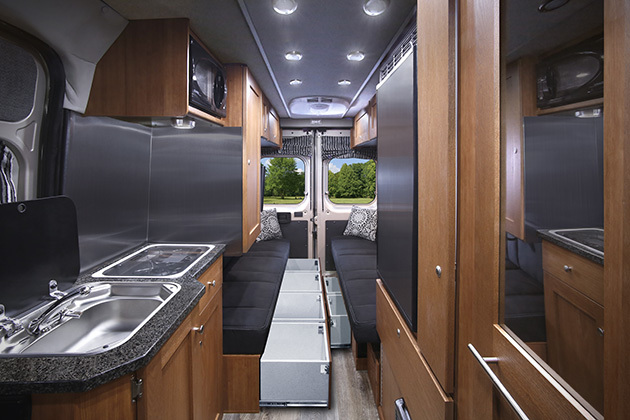 The large 11,000 BTU air conditioning system will keep you cool in the summer, and an optional solar charging system will keep you powered day or night. 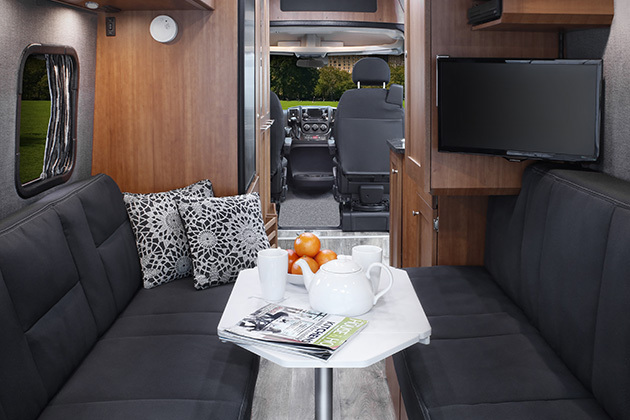 Retail on this Roadtrek starts at $86,000, and it’s sleek, modern design is sure to make it a popular RV choice. What do you think of the Zion Camper Van? Leave your comments in the box below and share this story with your friends.